21 Dec December 2018 Inspired Magazine: Featuring Megan Gonzalez! 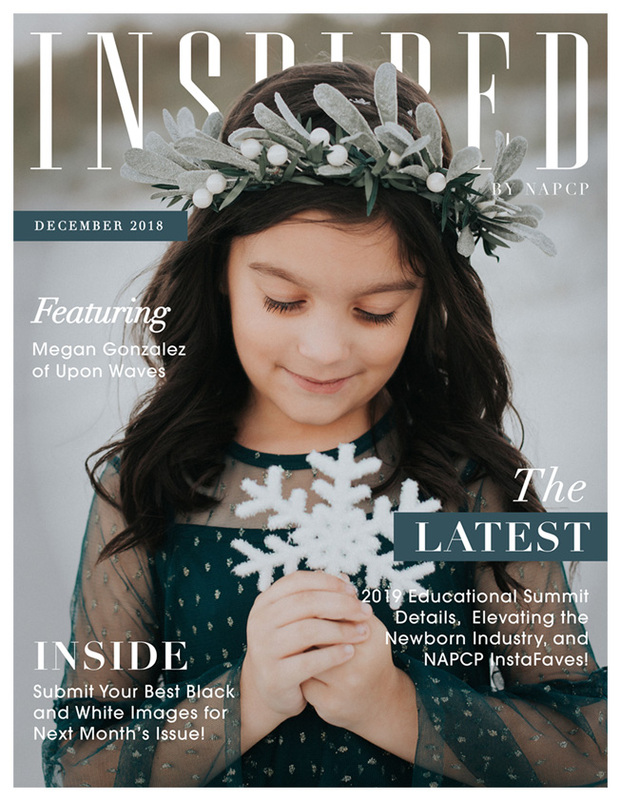 NAPCP’s December 2018 issue of Inspired magazine features Megan Gonzalez of Upon Waves, a feature article by newborn photographer Jessica Lynch, information about the 2019 Educational Summit and more! Snuggle up with a warm blanket and dive right in! Print your copy of Inspired straight from MagCloud! Share your favorite pieces with friends, family and clients.